It is time again to give thanks for all our blessings, and to spend time together with family and friends. Thanksgiving holiday this year will be low key at my house, since most of my children and their families, will be spending it with their in-laws. I am counting my blessings, because we will be all together for Christmas! Today I will not be posting any new recipes, but will provide links to my previous posts, for your convenience. 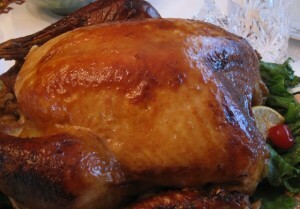 Here is my favorite turkey roasting recipe. 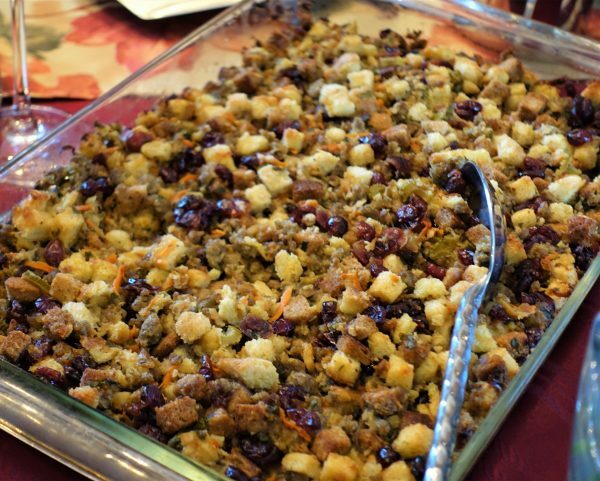 Stuffing with Italian Sausage and herbs. 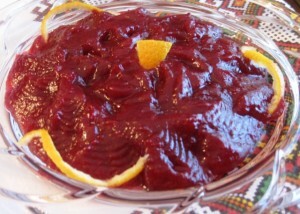 Homemade Apple Orange Cranberry Sauce recipe. I did not post a recipe, since it was a very simple process of cooking sweet potatoes, mashing them with a seasoning of brown sugar and cinnamon. 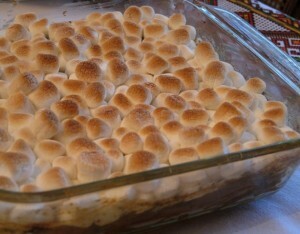 Then, placing the mashed potatoes in a greased casserole dish, covering them with a layer of miniature marshmallows, and placing them under broiler just long enough to form a golden crust. Need to watch them carefully, since the marshmallows can burn VERY quickly!! 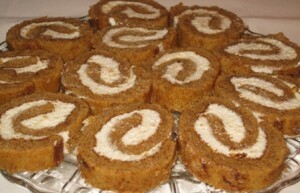 Since I am not a big fan of Pumpkin Pie, I bake Pumpkin Roll as one of my Thanksgiving desserts. HAPPY THANKSGIVING DAY TO YOU ALL!!! You are such a sweetheart! Thank you for being a loyal reader of my blog posts. 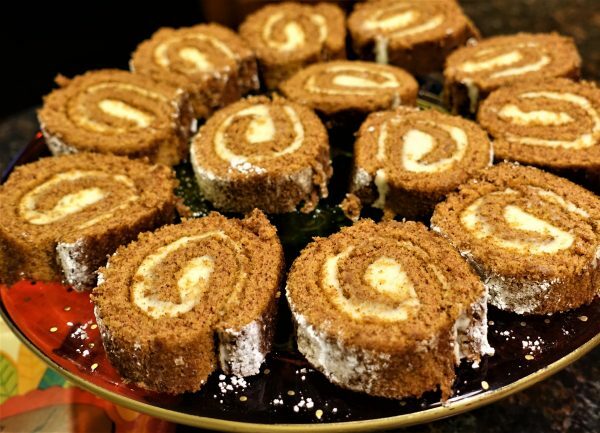 I am happy to hear that you do find my recipes and ideas interesting.